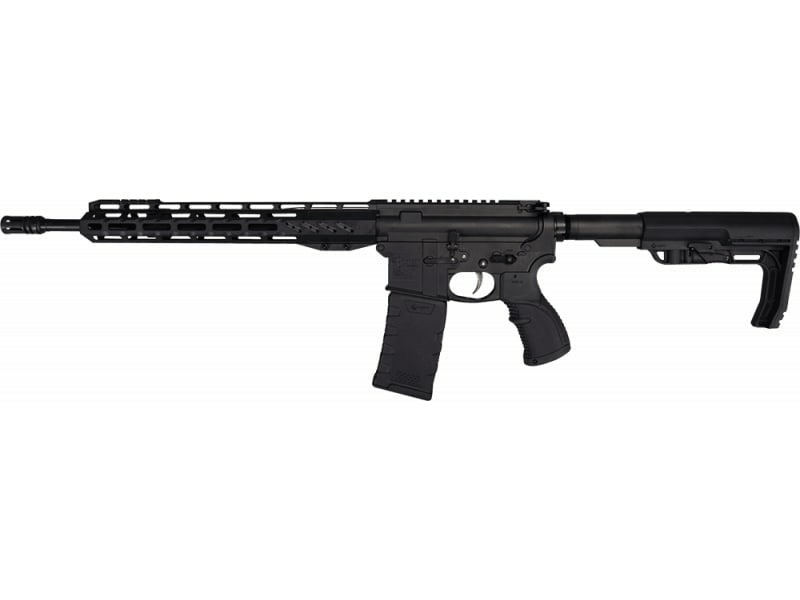 This rifle is one of the lightest and most high quality AR-15 rifles available anywhere in the market place. Coming in at only 5.6 Pounds it is built to carry all day and still tough as nails. 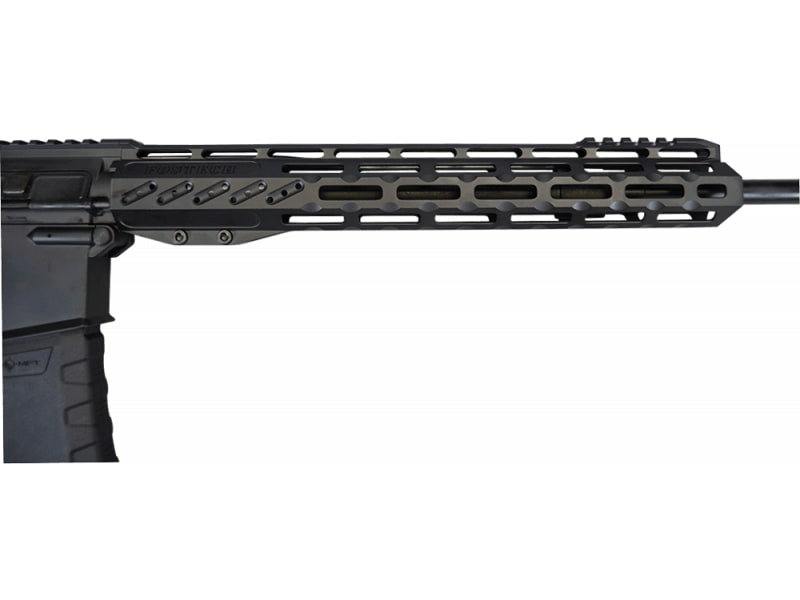 The rifle features a slim line barrel, Fostech's proprietary light weight upper and lower receiver, light weight black nitrided bolt carrier group, slim line barrel profile, and newly designed Mach-2 13" lightweight rail. All of the premium features are designed to allow the rifle to keep an ultra trim profile while also making it a workhorse capable of long days on the range. These rifles are designed to hold up under even the heaviest of combat conditions while still being a literal work of art. This model is finished in a beautiful graphite black cerakote finish, and completed with ergonomic Fostech Sabre pistol grip, MFT stock, and muzzle brake. What a find and at a spectacular price! 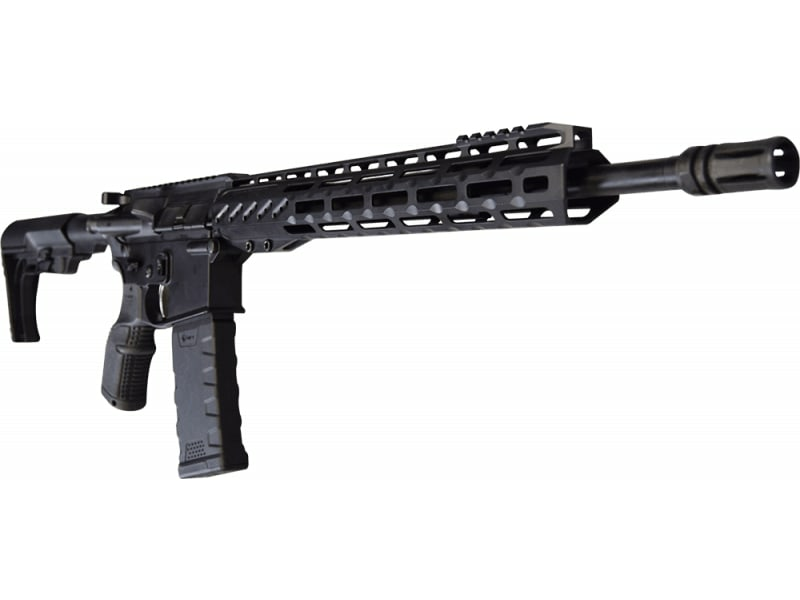 The Fostech Phantom Lite 5.56 AR15 Rifle with Echo Trigger is built on the foundation of FosTech's extremely lightweight magnesium alloy upper and lower receiver. 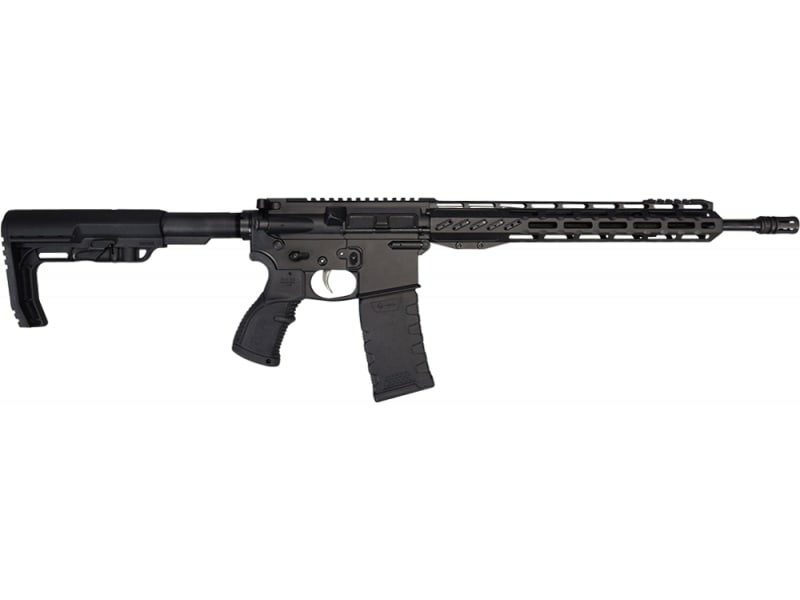 The rifle is finished in an attractive Black Graphite Cerakote finish, and features the newly designed 13" FosTech Mach-2 M-Lok rail! 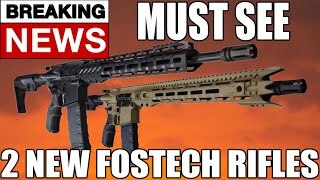 Other features include a 16" Slim Line Barrel, a light weight black nitride bolt carrier group and tons of other unique and proprietary features, The rifle also features an MFT Minimalist Stock, Fostech Sabre Grip, and of course the piece de resistance, a factory pre-installed FosTech Echo Trigger. The Echo Trigger is a groundbreaking design that is 100% ATF, approved. This unique trigger allows the shooter to select from 3 different settings. Semi-Automatic Mode: Firearm fires when the trigger is pulled. The Echo Trigger is designed with safety being the utmost priority. When the shooter is in the Echo Mode and depresses the trigger one round is fired- if so desired a second round can be fired upon release of the trigger or the shooter can move the selector to the safe position and the second round will not fire upon release. The value in this rifle is one of the best bangs for the buck I have ever seen. The Echo Trigger comes pre-installed and has been tested at the factory. The MSRP on the Trigger itself is $479.99. When you add that to the other fine features of the rifle such as Fostech's Rail and light weight Black Nitride BCG ; not to mention all the other high quality components that make up this rifle, it is easy to see the value. Plus the quality on the Flat Dark Earth finish is second to none. Each rifle comes with the manufacturer's one year warranty, and ships in a Hard Case with a User Manual and one 30 round magazine.